A Fox News discussion during the evening of the EU referendum broke UK broadcasting rules, according to Ofcom. 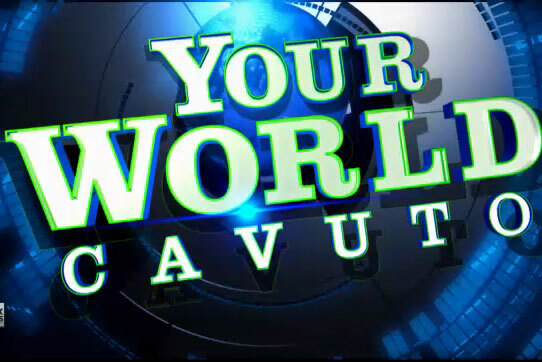 Two separate items about the referendum were broadcast simultaneously in the UK at 9pm and in the US on 23 June on the Your World with Neil Cavuto show, in the hour before polls officially closed at 10pm. At 9.05pm the show ran a five-minute news segment in which a contributor said: "I mean we are governed by a bunch of bureaucrats that don’t speak English in a funny place called The Hague, which makes no sense at all, and it tells Britain what to do, it takes British money, it doesn’t send much of if it back – it’s a very unfair one-way street when you begin to dig into it and the biggest thing of course is that all of this is all a disguise over the immigration issue". Then at 9.50pm, a commentator in another brief news item remarked: "I will say this Charles, and I said this before, there is a lot of establishment pressure on the public to vote ‘Remain’. "Politicians, moronic celebrities who don’t know anything about trade imbalances, they are waiting on this, the media – the BBC is like a running ad for Remain, and it goes on and on so that is a lot for the Brexit, British exit crowd to really fight up against." When contacted by Ofcom, Fox News said the show was unlikely to have affected voting behaviour in the UK because it was broadcast just before the polls closed at 10pm. Although primarily a US news broadcaster, News Corp-owned Fox News is broadcast in the UK to customers subscribing to sister UK TV company Sky and is therefore subject to UK broadcasting rules. Ofcom found the broadcaster in breach of rule 4.2 of the broadcasting code, which states, "Discussion and analysis of election and referendum issues must finish when the poll opens."